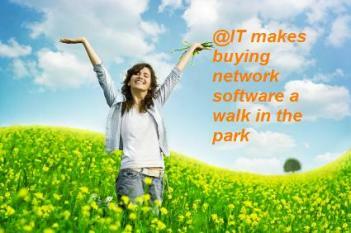 @IT Limited is a specialist distributor of network communications software. We specialise in terminal emulation, web-to-host, java emulation, windows based email, network monitoring, file transfer and anti-virus products. We are authorised partners of Ipswitch and Panda, and in July 2010 became the UK distributor of the excellent Gallagher & Robertson software range. Over the past ten years we have built a reputation for making it easy for local and central government, large and small businesses and charities to find the network communications software that they need at the right prices. Contact @IT Limited to see how we can help you.